How do you improve on the most ambitious RPG of the decade? 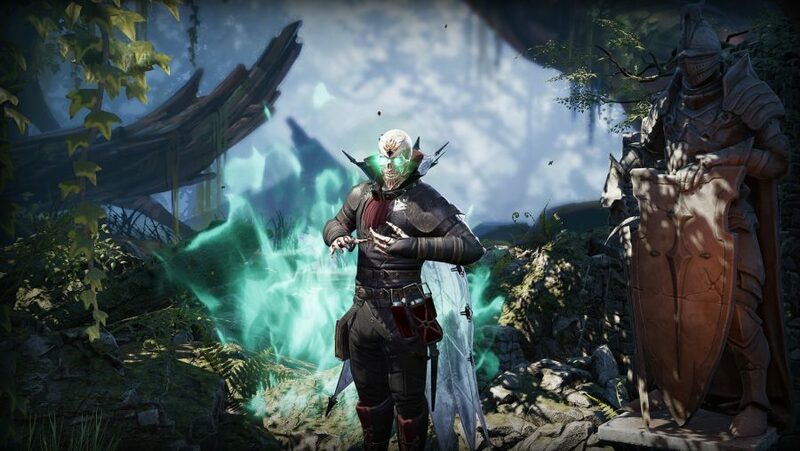 It’s a question that’s faced Larian Studios ever since it released Divinity: Original Sin 2 last year, and one that no doubt overshadows whatever the Belgian developer produces next. Yet Larian is not solely focused on the future, and as such, that very same question has been applied to Divinity itself. The result is Divinity: Original Sin 2 Definitive Edition: an enhanced version that further improves what is already one of the finest videogames ever made. And, as anyone who has played the original version will know, this means Larian has made a very good game indeed. Revised versions are not new ground for the studio. 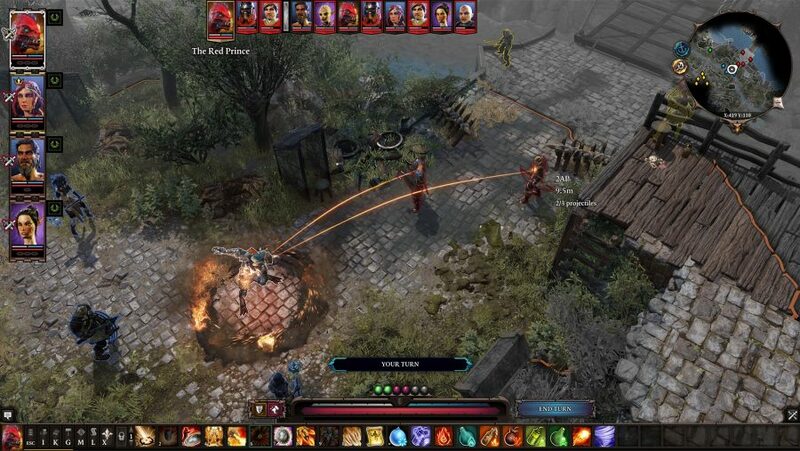 The first Divinity: Original Sin was relaunched with an ‘Enhanced Edition’, and the changes were significant: a new ending, totally rebalanced combat, additional difficulty levels, and full voice acting being chief among them. On the surface, there’s less need for Original Sin 2 to receive such an overhaul, yet the changes demonstrate Larian’s obsession with detail and pursuit of perfection. As such, 150,000 new words have been written for the game, adding to or modifying existing dialogue to expand and enhance the story. And that’s just the headline. Much of the new work has been applied to Arx, the city setting of the game’s concluding chapter, based on feedback that informed Larian of loose ends that needed tying up and elements further clarified. The city is where many characters see their final quests unfold, including that of Beast – the dwarven pirate attempting to prevent a Deathfog genocide orchestrated by his own monarch. Larian recognises that Beast was underwritten in comparison to the likes of Lohse, Sebille, and The Red Prince, and so significant time has been spent overhauling not only his backstory, but the threads of his questline. Word of warning: if you’ve not experienced Beast’s questline, or the city of Arx, you may want to skip to the conclusion. Spoilers lie beyond here. The city now features far more ‘breadcrumbing’ of quest information to foreshadow Queen Justinia’s Deathfog plot. Beast can find a fellow dwarf in the city who will provide a key to the sewers, whereas before many players found themselves simply stumbling upon the underground home of Justinia’s evil plan. If you’ve played this quest you’ll also know that the plot is in fact the brainchild of royal hand Isbeil, not Justinia, and thus Isbeil is name dropped several times prior in order to build up to the moment of her betrayal. Further aiding in foreshadowing and atmosphere, segments of Arx’s sewer network have been redesigned. Booby-trapped teddy bears are strewn around the environment, signalling that the tunnels are inhabited, and foreshadowing the gang of children that you later find near the Deathfog stockpiles. Shadow effects point to huge turbine fans rotating above the isometric map, indicating that the sewers are the perfect place to vent deadly gas into a city. Redesigned assets help cement the area as sewer system, as opposed to simply a wet dungeon. These are small but significant changes, all contributing to Larian’s need for perfection. Upon reaching the doomsday device itself an even more notable redesign rears its head. Rather than the original game’s valve in a wall, the Deathfog disperser is now a colossal machine; two huge vats of fog plumbed into a meters-wide brass turbine. It even gets a cutscene introduction. Coupled with this is an added moral quandary. Previously, you could opt to leave the machine alone or destroy Arx – a simple binary choice. In Definitive Edition, the machine is leaking and is thus a problem to be solved: do you vent the Deathfog into the city, or into the sea? Both have consequences, and so a bit of internal soul searching is required to conclude the quest. Provided the same level of detail has been added to all of Original Sin 2’s weaker areas, Definitive Edition is going to prove quite the compelling playthrough. While there appears to be no new questing content (aside from the new DLC, Sir Lora, which details a quest to stop a cult of squirrels summoning the ‘Great Acorn’), the small changes should make any replays worth it, especially for devout and detail-obsessed fans. And, let’s face it, you’ve still got plenty of unplayed quests to attempt in a second (or third) run. There are many more ‘bullet point’ style additions to Original Sin 2’s Definitive Edition to mention. A reworked AI for Tactician mode, graphical enhancements, a much-improved inventory and journal, 16 new characters for arena mode, better controller support and UI, and a new Nvidia physics engine that makes performance four times faster. On their own, they’re each highly welcome quality-of-life changes, but together they contribute to the subtly impressive rebuilding of a modern classic.